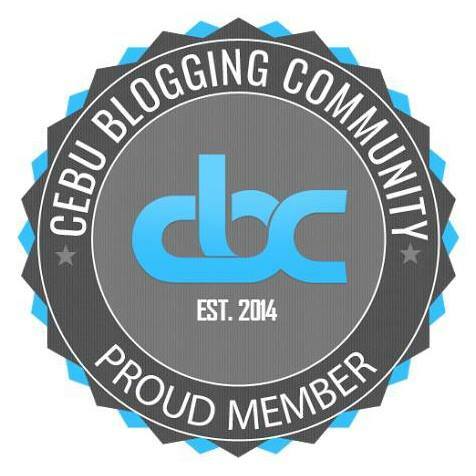 Prior to its grand launch, I went with my blogger friends from the Cebu Blogging Community to sample what Da Bang Korean Cafe had to offer. 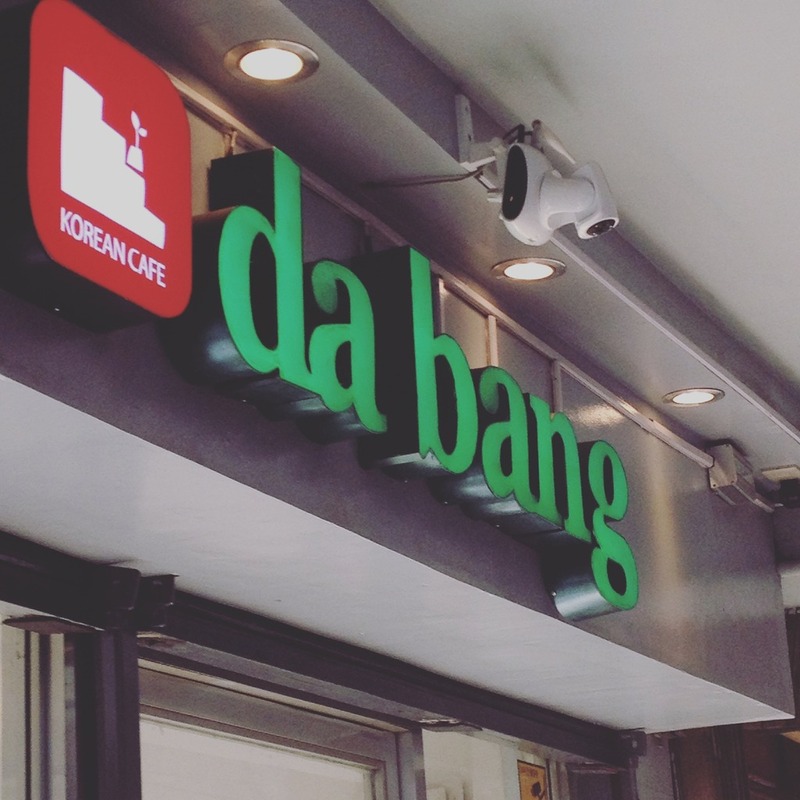 Da Bang Korean Cafe mainly serves iced fruit teas, milk teas, and coffee milk teas. I ordered the cookies and cream milktealicious. The other bloggers in our group ordered blueberry fruitealicious, vanilla milktealicious, winter milktealicious, melon milktealicious, and choco java milktealicious. All these drinks came with pearl jellies in it. It was a new experience having pearls in a cookies in cream drink for me. 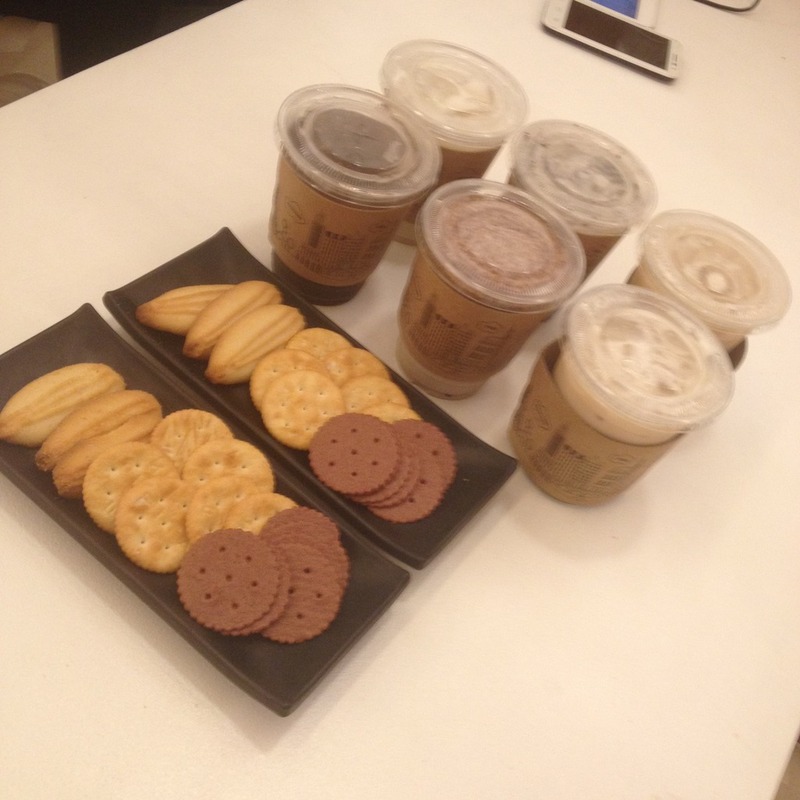 All of us also tried the iced Korean milk coffee which had very strong coffee flavors although I did not feel the caffeine kick in after a cup. 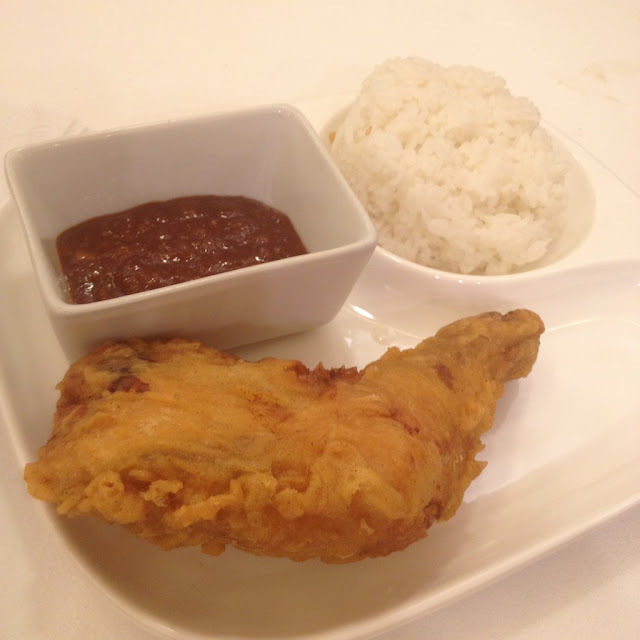 My friends and I sampled two f the menu items at Da Bang Korean Cafe: kimbap and fried chicken. Kimbap is the Korean version of Japanese rolls only bigger. 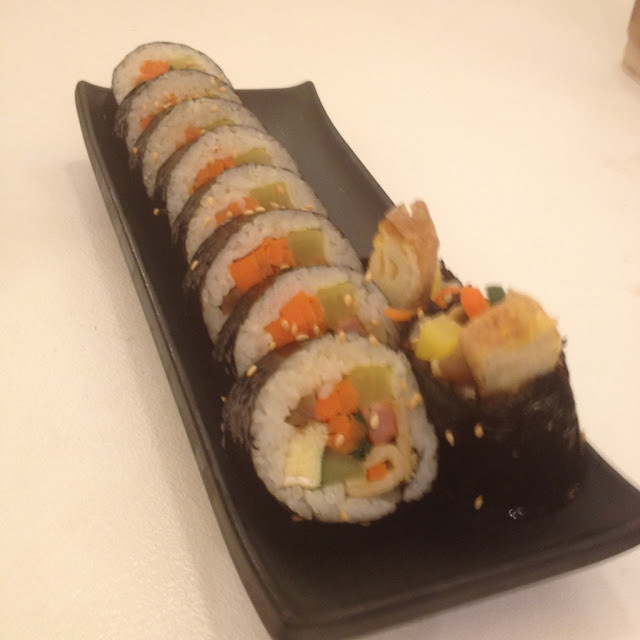 The kimbap set at Da Bang Korean Cafe sells at PhP 100 and comes with a complimentary iced tea drink. It has a rich filling of scrambled eggs, carrots, cucumber, scallions, luncheon meat, and other vegetables. At first glance, the fried chicken at Da Bang Korean Cafe looks just like an ordinary fried chicken. But take a step further and explore its flavors. One of the first few things you will notice is the aromatic flavors on the chicken's meat. The Korean-inspired sauce is also a star. A little spicy and heavy on tomato taste, it compliments the aroma and rich flavors of the chicken. 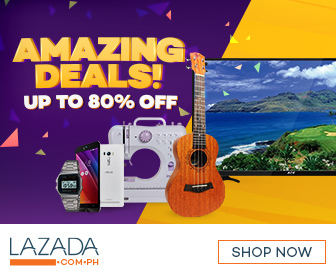 One order sells at PhP 130. 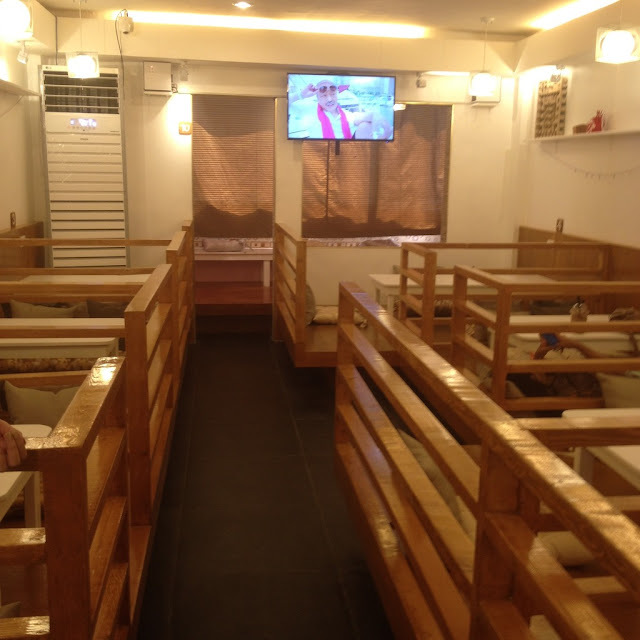 Have you tried the food at Da Bang Korean Cafe? How was it? Share your thoughts in the comments below.